Carinaria japonica is a moderately large species, with a body length to 130-150 mm. 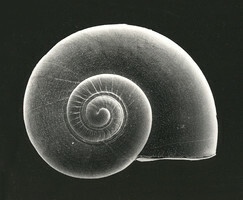 The shell is compressed laterally and, when viewed from the side, is triangular in shape with a height to basal length ratio of 0.8-1.0. The keel is low initially, but increases in height with proximity to the shell aperture. The tail is moderately large, with a tall dorsal crest. The geographical distribution of the species is unique among carinariids; it is limited to the cool, temperate waters of the Transition Zone in the North Pacific Ocean. 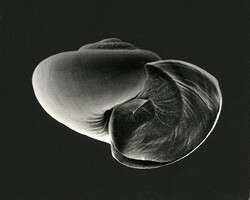 Shell triangular in lateral view; ratio of height to basal length = 0.8-1.0 (see shell sketch below). The geographic distribution of Carinaria japonica is restricted to the Transition Zone Faunal Province in the North Pacific Ocean (McGowan, 1971; Seapy, 1974). This faunal province consists of a narrow band of surface waters at the Subarctic Boundary (located between the Subarctic Pacific and Central Pacific water masses at about latitude 41-43°N), extending eastward from Japanese waters and expanding toward the coast of North America to include the broad, southeastward-flowing California Current. Among the species of Carinaria, the feeding habits and food preferences of C. japonica off southern California have been most completely studied (Seapy, 1980). Thaliaceans (small doliolids and salps), chaetognaths and copepods dominated numerically in the diet. Comparisons of the proportion of each prey species in the diet and availability in the plankton indicated preferential feeding on thaliaceans, chaetognaths and mollusks. In contrast crustaceans, and particularly copepods, were non-preferred prey. These patterns of prey preference may reflect differences among prey species in their ability to escape capture. Dales, R. P. 1953. The distribution of some heteropod molluscs off the Pacific Coast of North America. Proceedings of the Zoological Society of London 123: 1007-1015. McGowan, J. A. 1971. Oceanic biogeography of the Pacific, pp. 3-74. 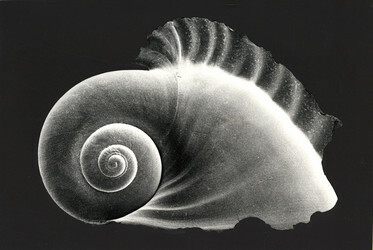 In: The micropaleontology of oceans, B. M. Funnell and W. R. Riedel (eds.). Cambridge University Press, Cambridge. Thiriot-Quiévreux, C. 1973. Observations de la radula des Hétéropodes (Mollusca Prosobranchia) au microscope électronique à balayage et interprétation fonctionnelle. Comptes rendus de l'Académie des Sciences, Serie D 276: 761-764. Page: Tree of Life Carinaria japonica Okutani 1955. Authored by Roger R. Seapy. The TEXT of this page is licensed under the Creative Commons Attribution License - Version 3.0. Note that images and other media featured on this page are each governed by their own license, and they may or may not be available for reuse. Click on an image or a media link to access the media data window, which provides the relevant licensing information. For the general terms and conditions of ToL material reuse and redistribution, please see the Tree of Life Copyright Policies.